Springtime is here, breathing life into your home after the dark winter. We came up with 28 affordable DIY ideas that you can do this season to freshen up your space. No need to worry since these simple and easy projects use materials that you already have at home. Check out our list, be creative and make this spring more colorful than ever. Transform old mugs with tissue paper and dishwasher-safe Mod Podge. Various hues of tissue paper give your mugs a vibrant look. Ispydiy.com has the tutorial. 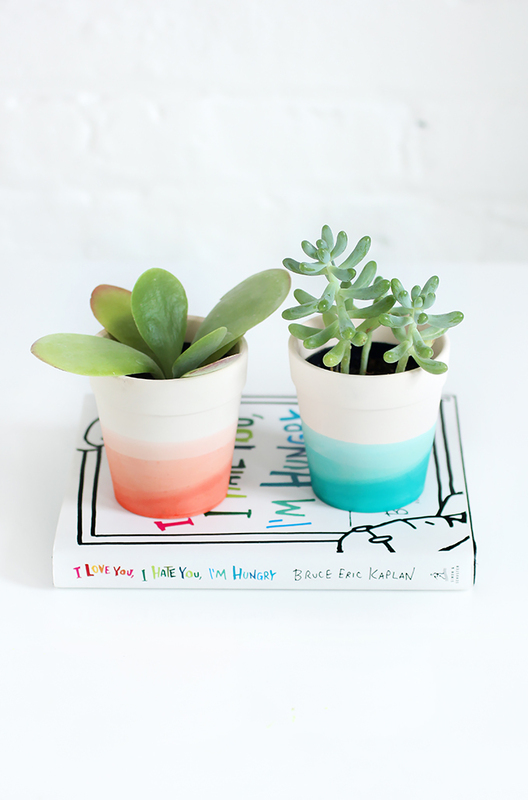 Upgrade ceramic pots for your succulents with this DIY design. Make attractive containers for your houseplants with a little dye and water. Ispydiy.com has the tutorial. Mason jars covered in floral fabric are perfect for spring evenings. These decorated candles give a shabby chic vibe to your home. Fellowfellow.com has the tutorial. Do you want to add a touch of color to your walls while saving money on picture frames or paint? Simply place multicolored washi tape borders around photographs and posters. Designsponge.com has the instructions. These flower sconces are lovely for Valentine but also look great for springtime. Spice up a blank wall with white paper cones, fresh flowers and glue. Stylemepretty.com has the tutorial. Do flowers make you sneeze? You can still enjoy the beauty of spring by making hyacinths out of colored tissue paper. Auntpeaches.com has the instructions. 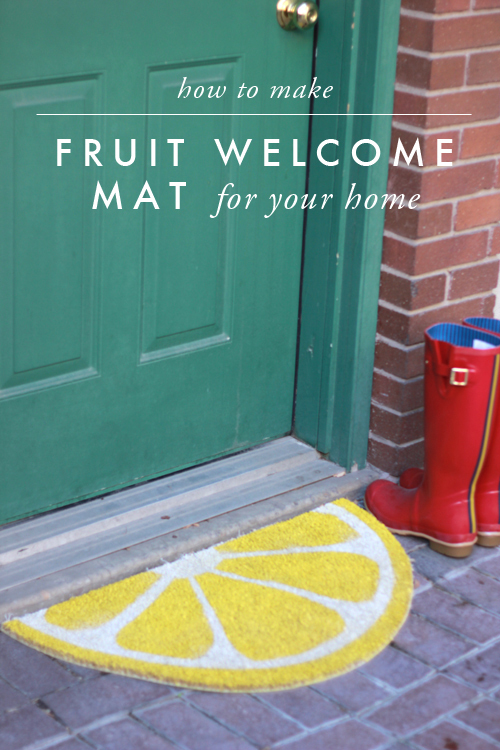 Spruce up an old floor mat by giving it a unique twist. This fruit inspired design is a fun way to welcome your guests. Thehousethatlarsbuilt.com has the instructions. Keep your tables clean by serving drinks on these adorable moss coasters. Check out the tutorial at Sincerelykinsey.com. These flower bouquet popsicles are delicious and pretty springtime snacks. They are also ideal for a baby shower or bridal party. Marlameridith.com has the recipe. 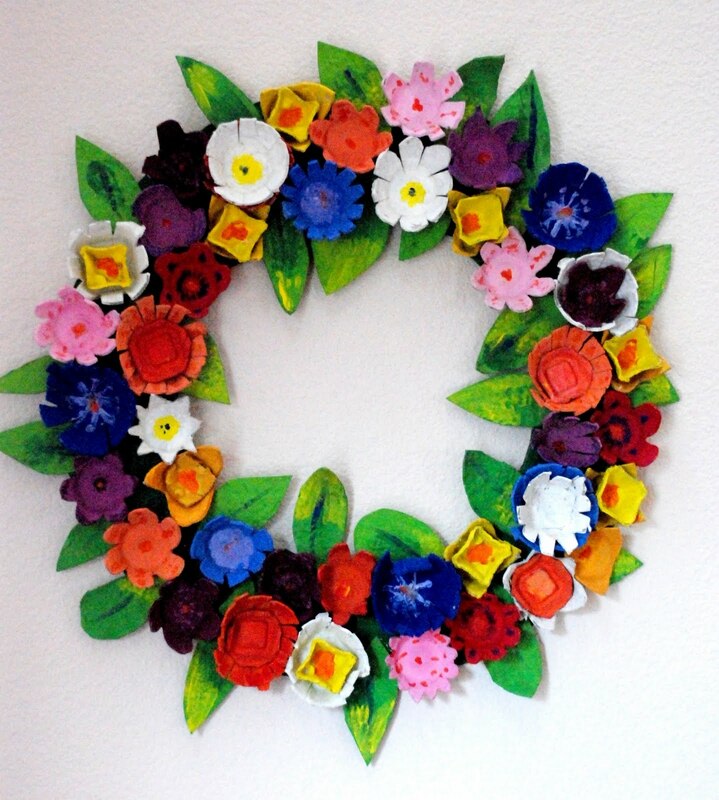 Rescue an old egg carton from the trash bin and turn it into a stunning spring wreath. This is also a great art project for kids. Homemadeserenity.com has the instructions. 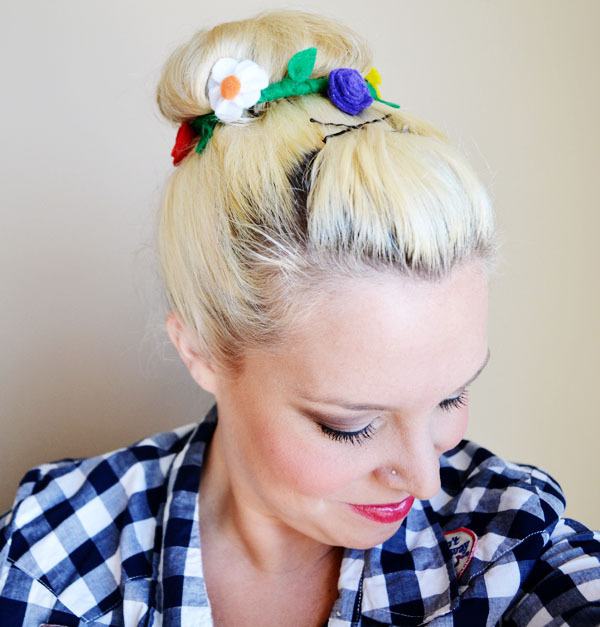 Brighten your look with this floral hair accessory. Simply twist floral wire into a pretty bun wrap. Occasionallycrafty.com has the instructions. Don’t have a green thumb? You can still decorate a bare table with this inexpensive and super easy-to-make moss topiary tree. Consumercrafts.com has the instructions. These Japanese hanging moss balls (known as kokedama) are perfect for those who want to have an indoor garden in a small space. Experiment with your plants this spring. Designsponge.com has the tutorial. 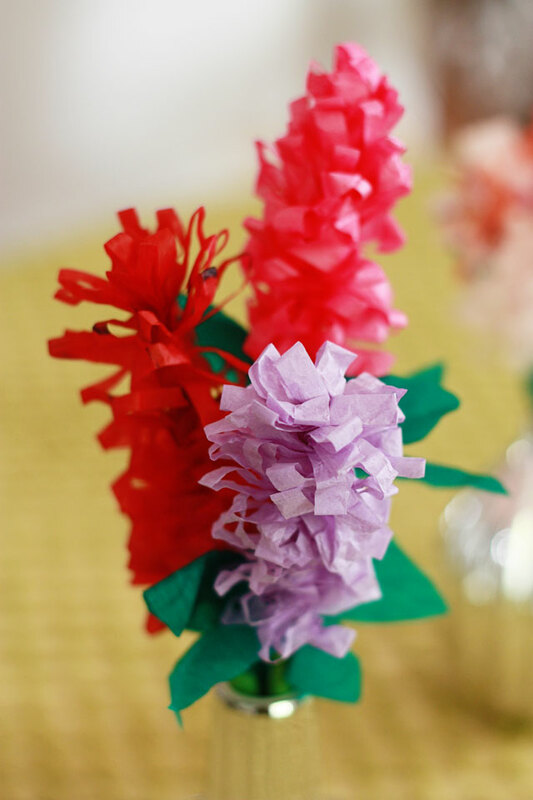 Paper dahlia flowers are great decorations for springtime parties. 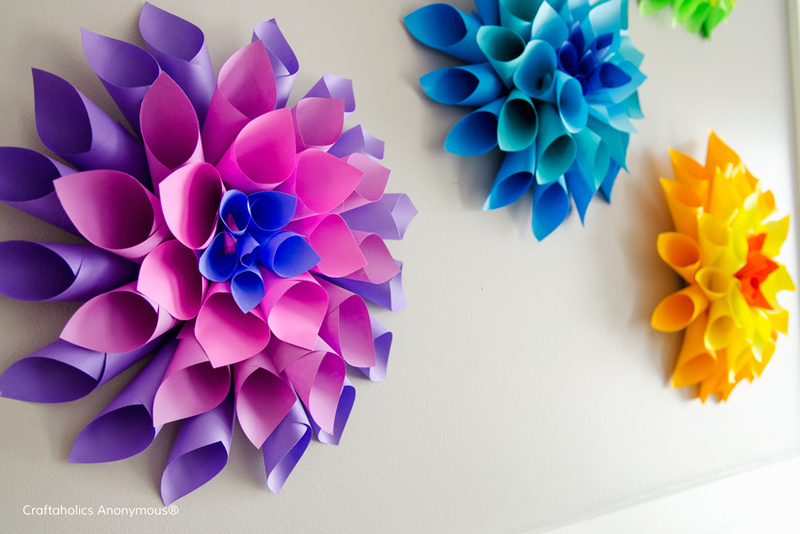 Kids would love making these colorful craft pieces. Craftaholicsanonymous.net has the tutorial. 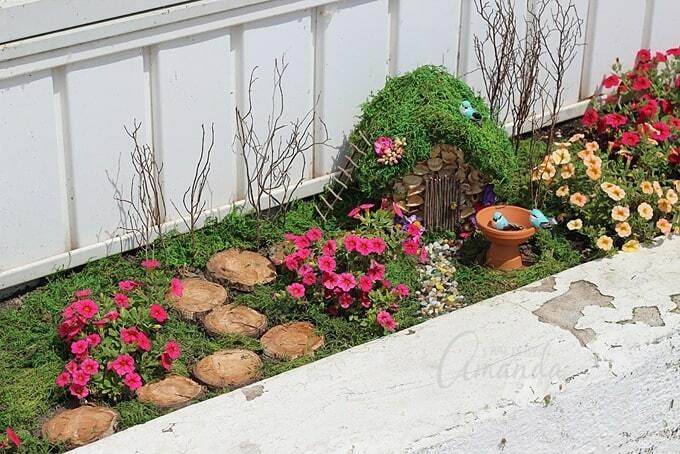 For a touch of whimsy, set up a fairy garden in your yard this season. Craftsbyamanda.com has the instructions. 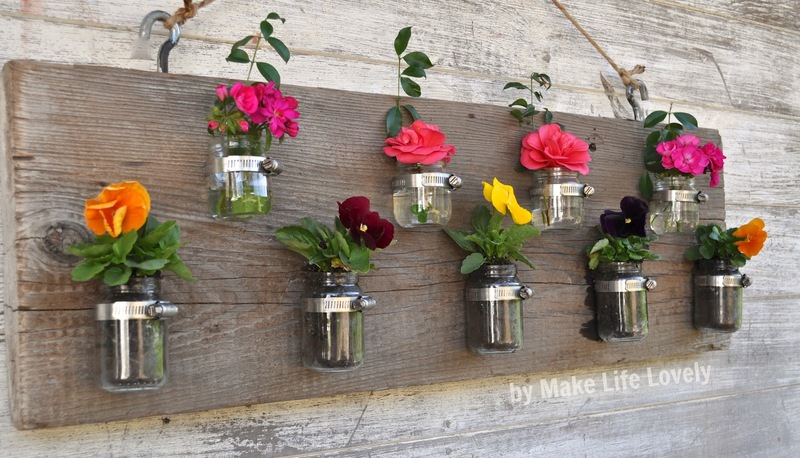 Recycle plastic bottles into beautiful, ever-blooming flowers. Thechillydog.com has the tutorial. Turn white cupcake liners into delicate butterflies. Sprinkle them with glitter or dab ink on the edges. Bluepurpleandscarlett.com has the instructions. Create a cute sock bunny for a playful table decor or as a creative baby gift. With easy-to-follow sewing instructions, you don’t need to be an expert. Craftpassion.com has the tutorial. Did you know that you can transform this common garden tool into a door decoration? 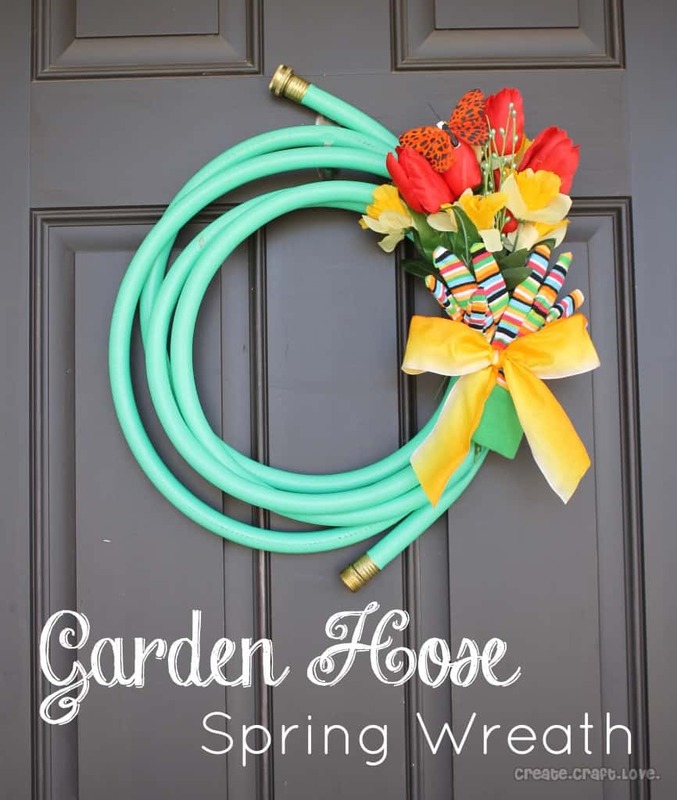 This pretty DIY wreath is made from a coiled garden hose! Createcraftlove.com has the instructions. 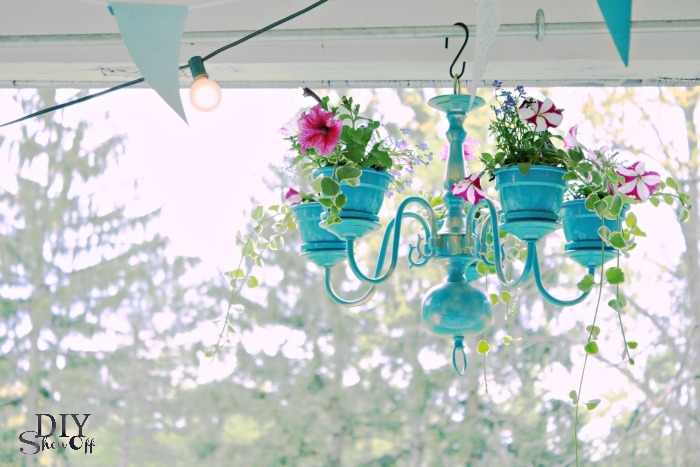 Look for an old chandelier and create this awesome hanging planter. This is great for rooms that get lots of sunlight. Diyshowoff.com has the tutorial. 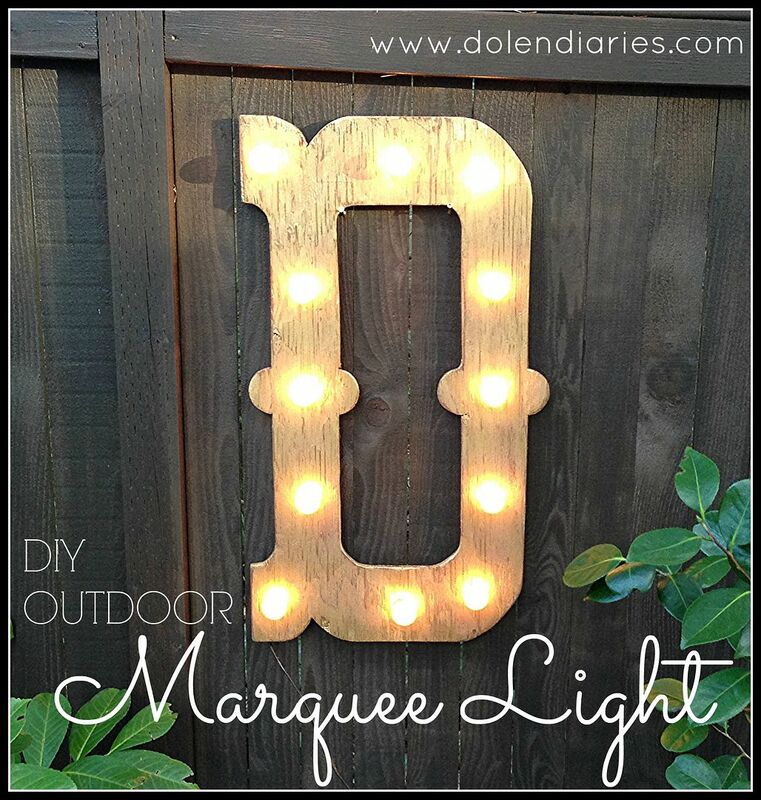 Spice things up in your yard with a DIY outdoor marquee letter. Add glamor to your outdoor space day and night. Dolendiaries.com has the tutorial. 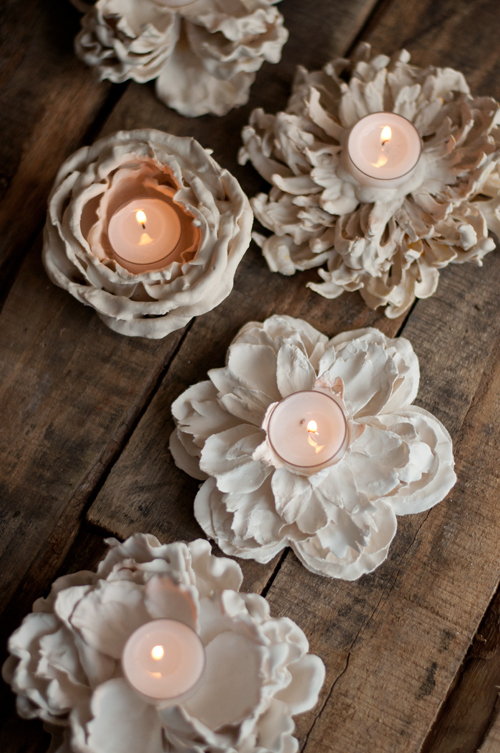 These pretty and functional plaster flower votives are classy decors for spring. Designmom.com has the tutorial. 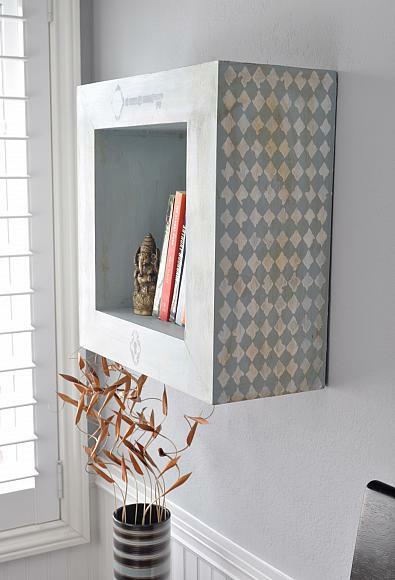 Upcycle an old wooden box into a clever hanging bookshelf. Give your room a brand new look. Chicacircle.com has the tutorial. 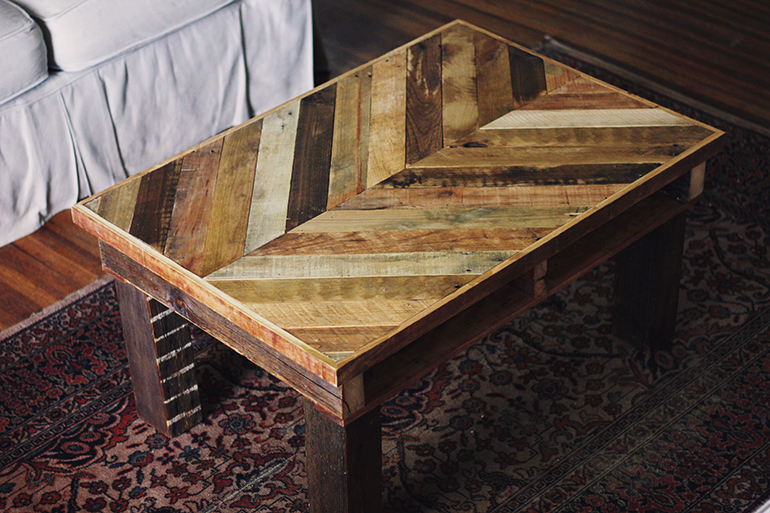 This rustic DIY coffee table is a good accent piece for your living room. Themerrythought.com has the instructions. Baby food jars are not just for storing leftovers. You can turn these versatile containers into vases, candle holders or planters. Makelifelovely.com has the tutorial. 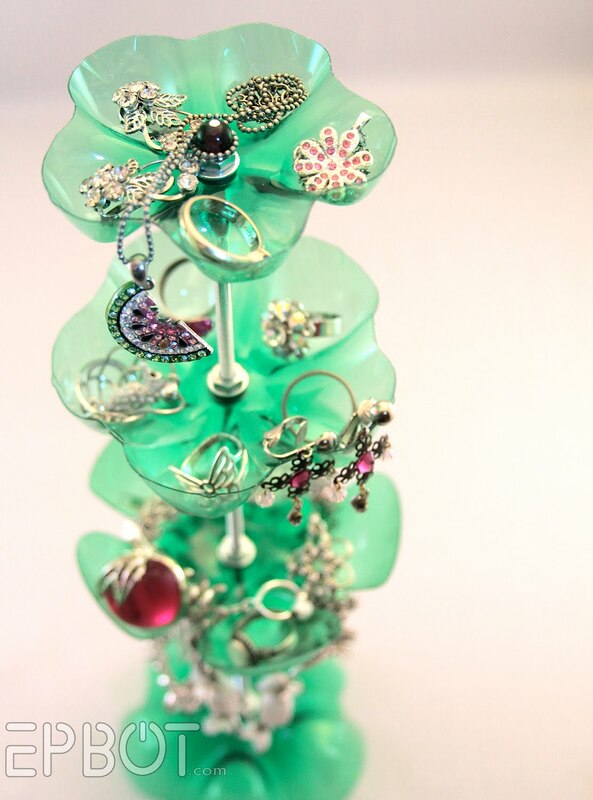 Organize your accessories with this gorgeous jewelry stand made from a plastic bottle. Check out the tutorial at Epbot.com. Proudly display your favorite photos and family snapshots with this DIY clock. This is something you will be happy to look at any time of the day. Photojojo.com has the tutorial. Make your home stand out with these attractive window boxes. Fill them up with a variety of plants and flowers to welcome the season. Lowes.com has the tutorial.